Market Edge anchor Cathy Yang is among the journalists chosen to attend the Journalist-to-Journalist (J2J) training program on International Trade by the National Press Foundation, a Washington-based organization that provides free professional development for journalists. Yang, who is also a managing editor for ANC, joins 19 other Asia-based journalists — chosen out of 200 — in the said program, which is scheduled to be held in Hong Kong in June. Under the program, participating journalists will be able to immerse themselves in all aspects of sustainable international trade. 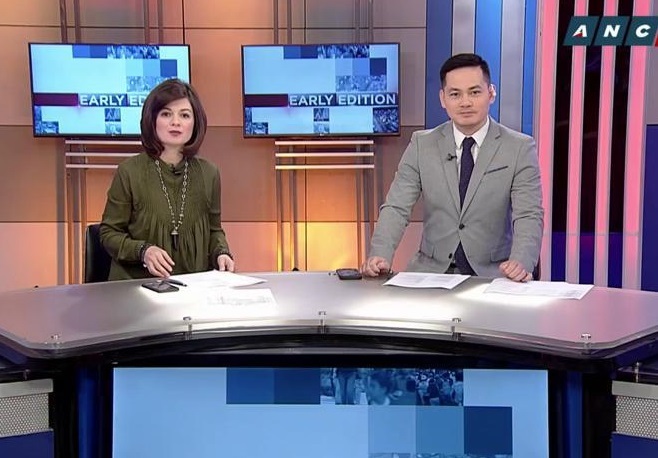 As part of its channel-wide reformat, the ABS-CBN News Channel has reassigned Lexi Schulze to the morning shift, joining the team of Early Edition as its new female co-anchor. 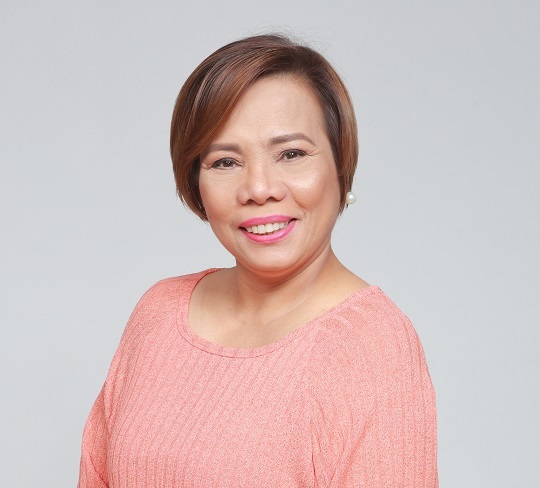 The former afternoon anchor, who most recently headlined the now-canceled ANCAlerts, takes over the seat vacated by Annalisa Burgos, whose network contract ended in December. 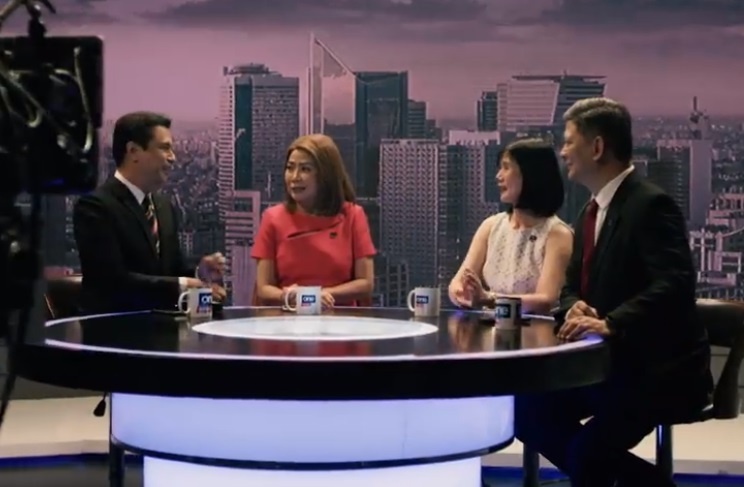 Also among other changes at the Kapamilya news channel is the revival of Rundown, the old ANC newscast which was originally anchored by Ces Oreña-Drilon and Ricky Carandang. 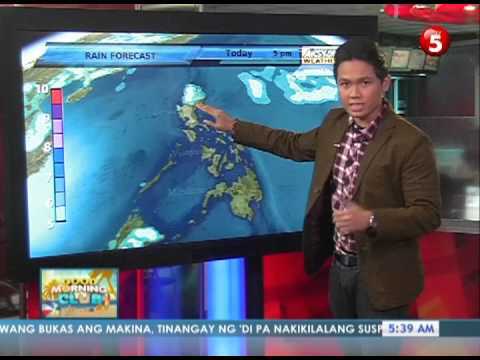 Joseph Ubalde, the former weather anchor of TV5, has passed away. He was 33. In a report by the Manila Times, where he served as columnist, the publication cited a police report which said that Ubalde was found dead on Monday in his room at the Shangri-la Hotel at the Fort in Taguig City. The cause of his death, as of this writing, has yet to be determined. Ubalde got his first TV break in 2011, serving as a weather anchor for TV5 and its now-defunct sister station AksyonTV. He would later be given a chance to be part of morning television via the Kapatid Network's now-defunct Good Morning Club. 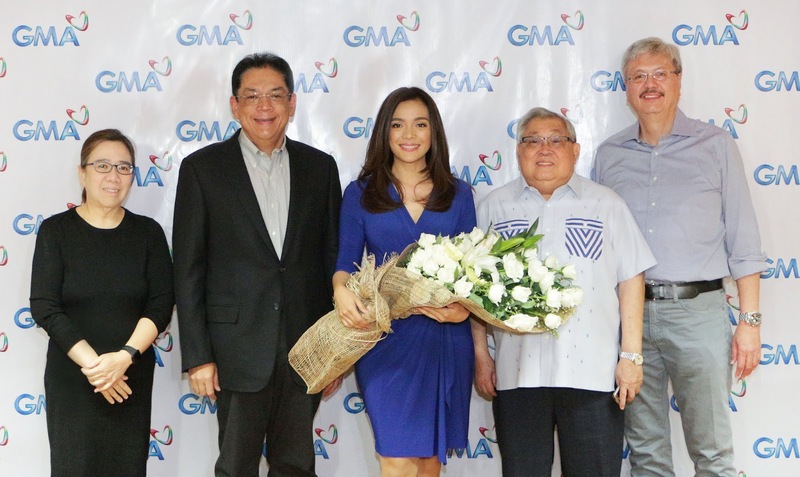 From L to R: GMA Network SVP for NPA Marissa L.
Arnold Clavio; GMA Chairman and CEO Felipe L.
Gozon; and EVP and CFO Felipe S. Yalong. 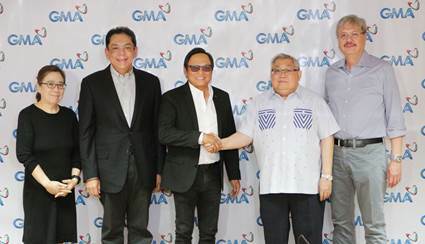 GMA News Pillar Arnold Clavio has reaffirmed his loyalty as a Kapuso, renewing his exclusive contract with GMA Network last March 21. Present during the signing were GMA Network Chairman and Chief Executive Officer Felipe L. Gozon; President and Chief Operating Officer, Gilberto R. Duavit, Jr.; Executive Vice President and Chief Financial Officer Felipe S. Yalong; and Senior Vice President for News and Public Affairs Marissa L. Flores. 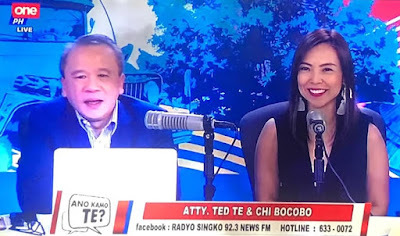 An award-winning broadcast journalist for more than 30 years already, Clavio considers the Kapuso Network as his home which has allowed him to be of ‘Serbsyong Totoo’ to Filipinos throughout the years.